I recently did a couple of long distance train journeys and decided to live my best life and go first class. Yo to the freaking lo, etc. I’m lucky that it’s easy for me to travel from both Leeds and York so I got straight on it with the Virgin Trains East Coast seat sale and bagged myself tickets to both London and Edinburgh in first class. But was it worth it? There are definite pros and cons to first class, as you’re paying for an experience but let’s face it, we know that trains aren’t the most reliable form of transport and paying extra won’t stop your train getting delayed or having technical difficulties. 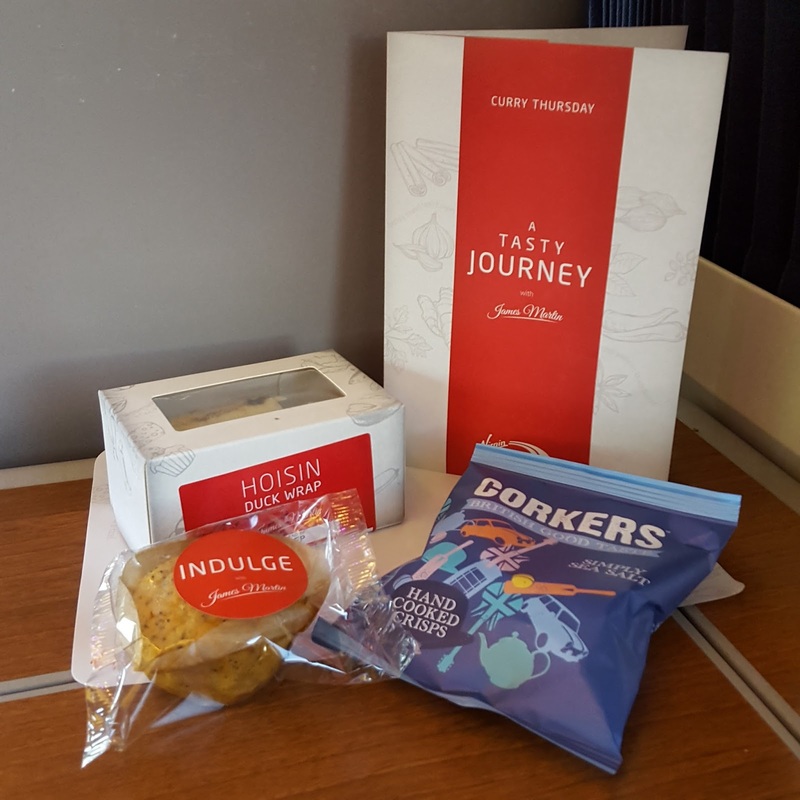 On the other hand, if you’re not paying all that much more than your standard class tickets, you can easily eat and drink the difference. 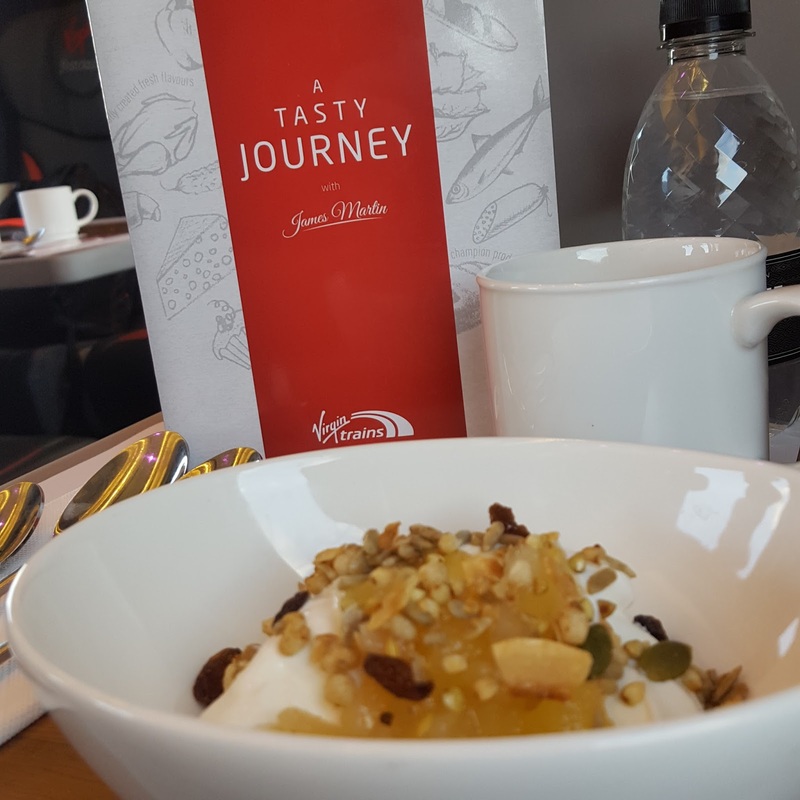 I travelled on the Virgin East Coast line both down to London and up to Edinburgh, so experiences will vary by train provider. Some stations have a first class lounge which you can use prior to your journey. When travelling from Leeds to London King’s Cross, I went in both, whereas when I went from York to Edinburgh, only Edinburgh has a lounge. 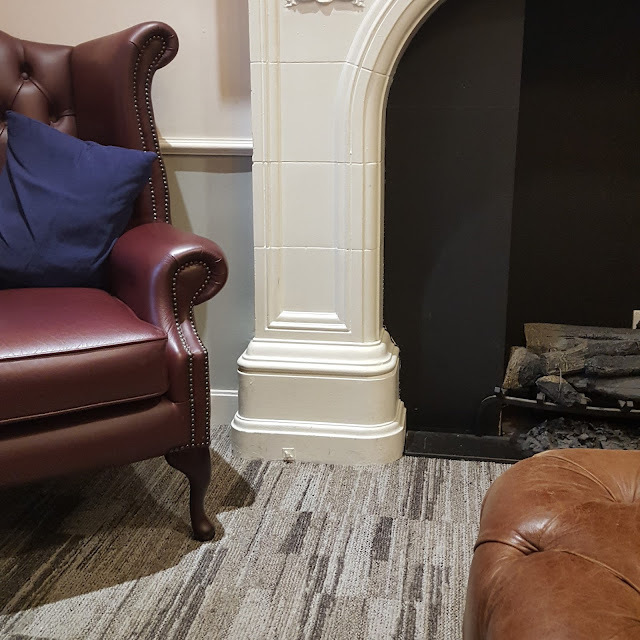 The lounges have a selection of hot and cold drinks available, snacks like crisps and biscuits, charging ports (for all phone types, in addition to having plug sockets available), comfortable chairs to relax in before getting your train. Whilst I wouldn’t suggest upgrading simply for the purpose of going in the lounges, it’s definitely good if you have a specific train booked and might have time to kill beforehand as it’s a calmer space where you can charge your phone. The Leeds lounge wasn’t the greatest experience as the hot drinks machine was broken and it’s a windowless box hiding behind the ticket machines, but the Edinburgh Waverley lounge was absolutely lovely, as it’s a more classic style with winged armchairs and leather footstools. The King’s Cross lounge was definitely a highlight for me though as the day I was there, Virgin had brought in a company to do complimentary back massages which was the dream before my train home. For longer journeys, this is where it becomes 100% worth it as the carriages tend to be quieter, there are plug sockets by every seat and I was able to book a single seat so I didn’t have to sit opposite a stranger whilst I was travelling. First class passengers get free Wifi too which meant I could spend the journey being entertained by YouTube videos, without worrying about killing my phone battery as I could charge it as I traveled. The seats are comfier, the tables are bigger and it’s an all round more enjoyable experience. I’m entirely on board with train snacks, and I think this is where I got my money’s worth. 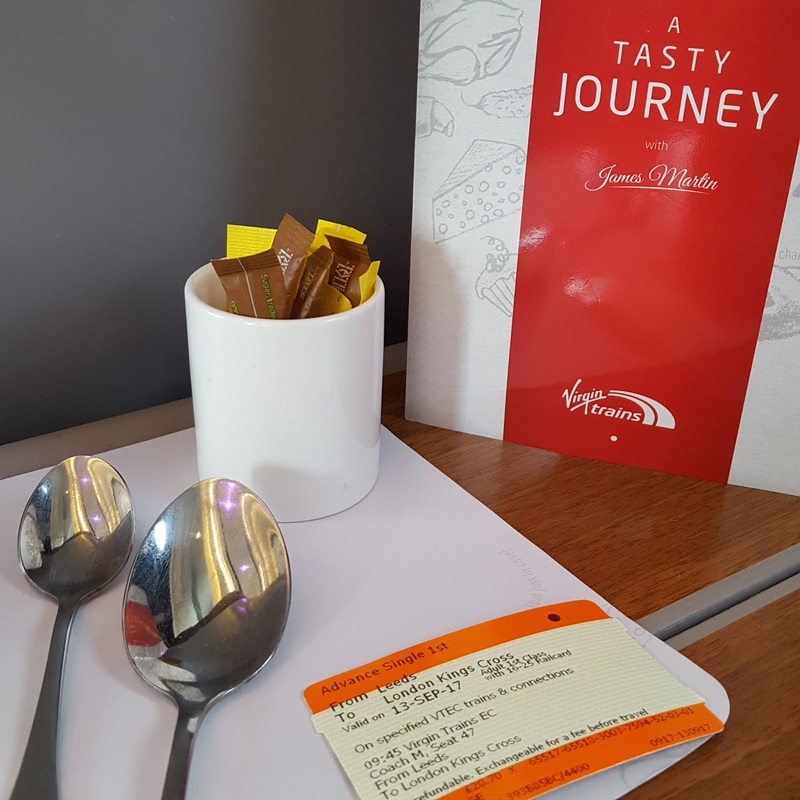 I paid an additional £20 for my return to London, and an additional £30 on my return to Edinburgh, but I worked out that the number of hot drinks, snacks and the cost of Wifi for each trip meant that it was so worth it for me as on each journey I had the equivalent of a meal. The menus are available online but breakfast for me included Greek yoghurt and granola and lunches were a duck wrap or egg sandwich, plus crisps and a muffin. There are more hot options available too, like Mediterranean chicken and bacon rolls. From the four trains I was on, only once was full menu not available and it was cold food only in the evening. 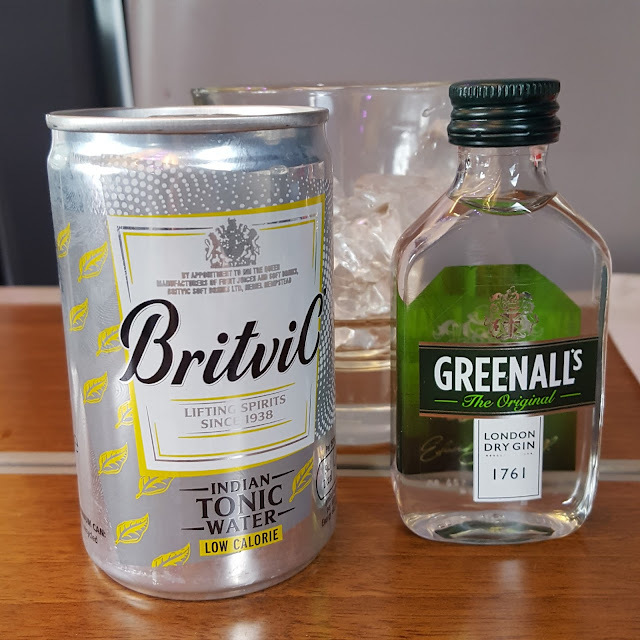 Whilst I don’t advocate binge drinking (LOL, well, occasionally), after 11am, alcohol is readily available and included in the refreshments so I definitely took advantage of this and sipped on a couple of G&Ts on those journeys. So, was it worth it? I’d say yes. Though I’m not going to become someone who goes first class at every opportunity as LOL I’m not exactly balling, when it’s in the seat sale or booked far enough in advance, it’s a yes from me. Providing you make the most of it and use the lounges, log onto the Wifi, eat the food and drink the booze, you’ll easily get your money’s worth. 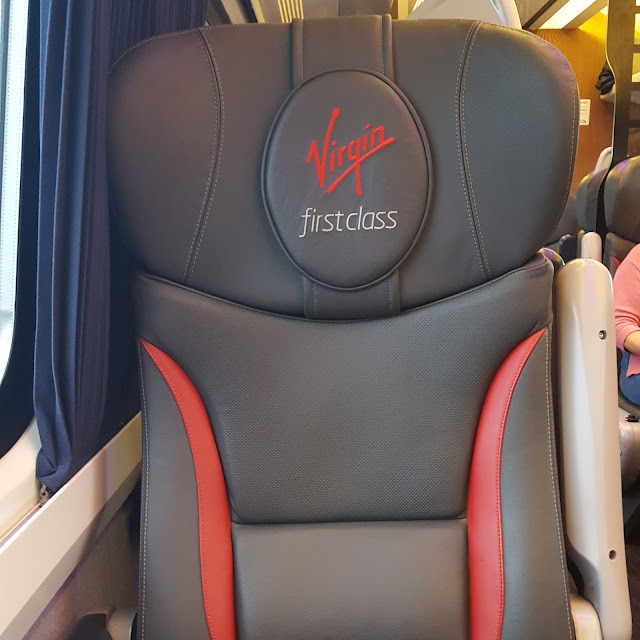 I've never travelled first class by train before but it sounds great if you have a long journey! I'm so impressed that food/drink was free, I thought you'd just be paying more for a better seat and a quieter carriage. Definitely worth thinking about for any future long journeys.